Every philanthropist is all too aware of the intense competition for limited resources; there are only so many donors to go around and philanthropies need large amounts of funding to successfully run and achieve their goals. Regardless of the amount donated, everyone wants to know their money is being spent wisely and achieving the desired results. There are many aspects that go into successfully running a philanthropy, so you need to be informed as a philanthropist. The following books should stand front and center on every philanthropist’s bookshelf. Tierney and Fleishman give practical guidance to both donors and organization leaders. It addresses central questions for every philanthropist on executing strategies and gauging success. Case studies, including the Bill and Melinda Gates Foundation, provide valuable insight. Collier, once Harvard’s senior philanthropic advisor, addresses sharing family values through philanthropy. He discusses the role of philanthropy in teaching family values and in passing both values and assets to succeeding generations and how this tradition can benefit the world at large. Morino’s book is an essential read for nonprofit leaders and donors alike, providing valuable, hard-won insights into measuring success. It covers the importance of clearly defined aspirations, gauging progress, making mistakes, adapting quickly, becoming more effective, and always remembering the goal is improving lives, no matter what specific cause you’re working toward. Collins’ monograph counsels the social sector, following his book Good to Great: Why Some Companies Make the Leap…And Others Don’t. Many social sector readers of Good to Great had specific questions on applying his advice. Collins concludes the crucial difference isn’t between business and nonprofits, but between great organizations and good ones. Drucker is well-known as a management guru for both for-profits and the social sector. This compilation includes 26 of Drucker’s core writings on management and effective execution, as essential for social change as for business success. 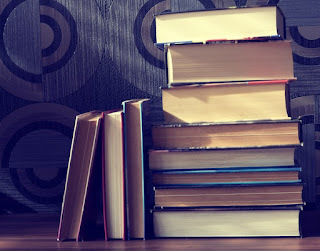 Each book deserves multiple readings and careful thought because they can benefit you in various ways. Whatever the social issues that most concern you, being able to judge and perhaps even improve the effectiveness of those implementing those changes is primary. Incorporating the principles outlined in these books with your values will improve the effectiveness of your philanthropy.